This pho had bacon in it, an egg, and a piece of french bread. I think I would have preferred the french bread on the side instead of in the bowl, but the whole thing was still pretty great. 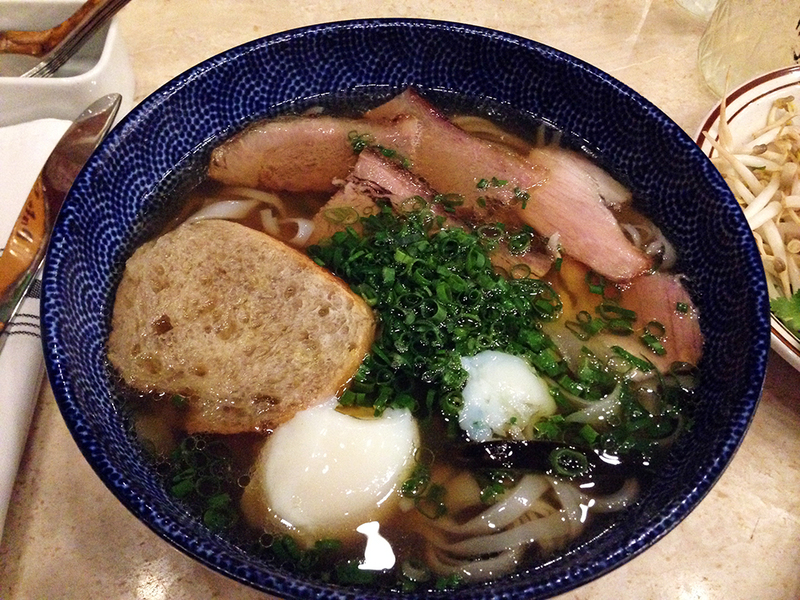 The egg and wide noodles gave it a ramen feel, but the broth was all pho.